Drill 2 - Hop right foot, jog through centre, hop left foot, jog through centre; continuous. 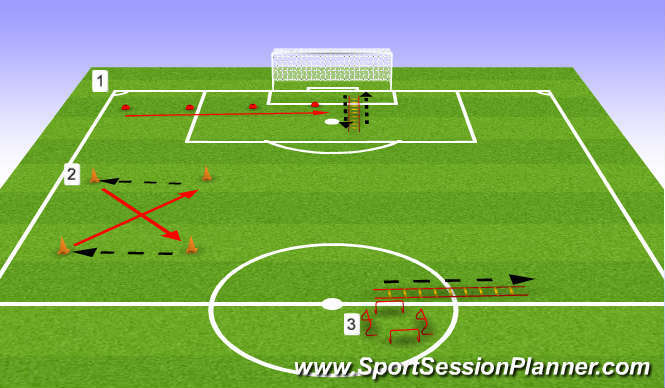 Drill 3 - Starting in Agility hurdles, hopping backwards, left, right and forwards. At agility ladder, hopping sideways on right foot, swapping onto left foot halfway through.